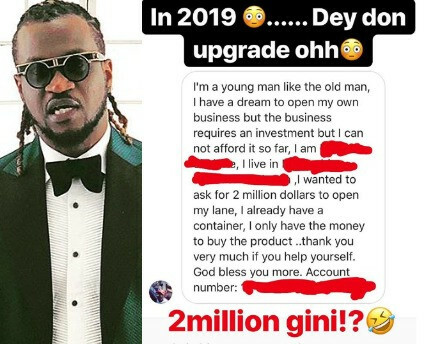 Paul Okoye shared the shocking DM he got from someone asking him to give him $2 million to run his business. ”Ahh!! ahh!! just like that …lol abeg who get Jesus instagram handle …. I need to Dm him is like I need $20milloin ”. Posted by Mr. Cis on January 25, 2019.